Egypt's elections: What you need to know Jump to media player Egypt's first multi-candidate presidential elections since the uprising will take place on the 23rd and 24th of May. What could be in store for the country? 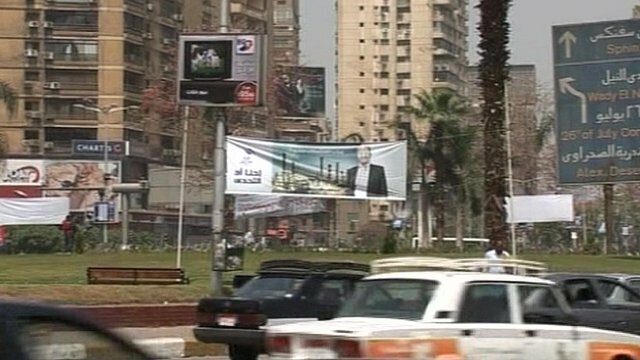 Poster war in Egypt presidential elections Jump to media player Weeks before Egypt's first ever multi-candidate presidential elections, full-colour, mass-produced posters try to win voters attention. 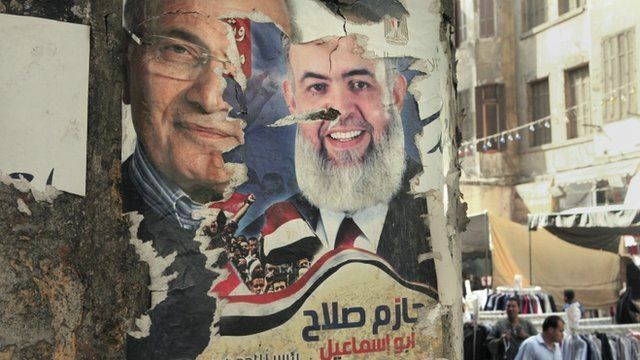 Campaigning builds in Egypt election Jump to media player Hosni Mubarak's former spy chief, Omar Suleiman, has formally entered the race to become Egypt's next president. Egypt's 'complicated' elections Jump to media player Lyse Doucet visits a Cairo polling station to see how complicated voting is in Egypt's first elections since former President Hosni Mubarak was overthrown in February. 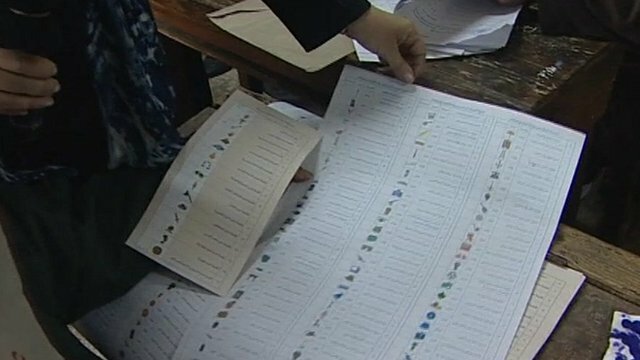 Egypt 'has 62% poll turnout' Jump to media player Election officials in Egypt say 62% of eligible voters turned out to vote in the initial stage of the country's elections earlier this week. Young voters talk about Egypt elections Jump to media player As Egypt prepares to head to the polls for the opening stage of the first elections since former President Hosni Mubarak was toppled, Lyse Doucet speaks to some young voters to see what they think about the polls. 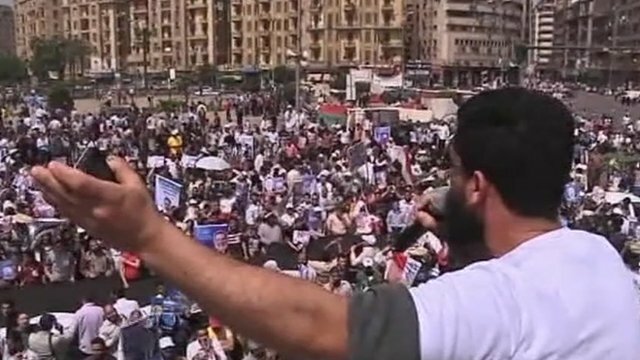 Egypt's first multi-candidate presidential elections since the January 2011 uprising take place on 23-24 May. 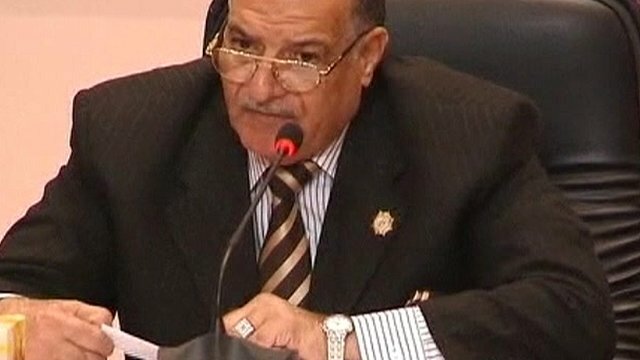 The election will see the transfer of power from the military, which has been in charge since the ousting of former President Hosni Mubarak, in favour of a civil government. A total of 13 candidates from all over the political spectrum are in the running. BBC Arabic's Ahmed Maher explains what kind of presidential system Egypt is likely to have.